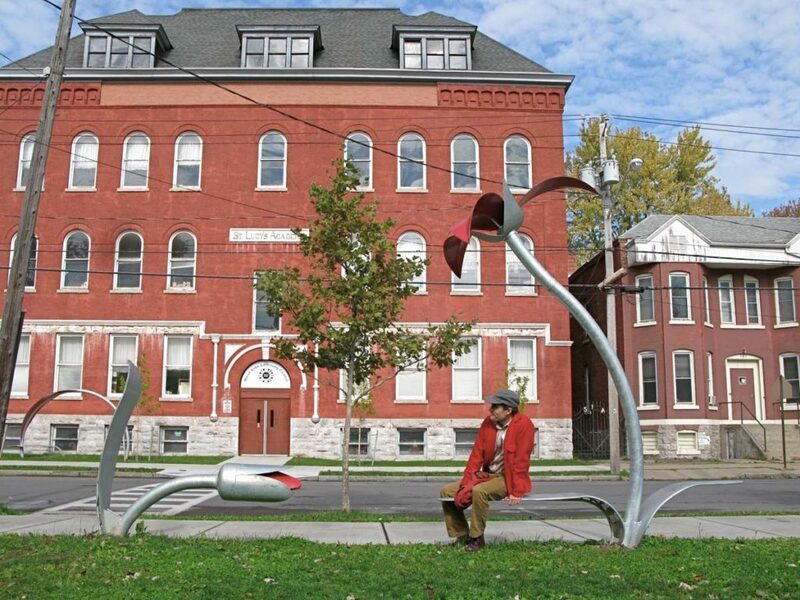 The Westside Bus Stop Rests were designed in collaboration with students at the Westside Academy as part of a artist residency at the SALT Quarters, and in partnership with a MoST science enrichment program. 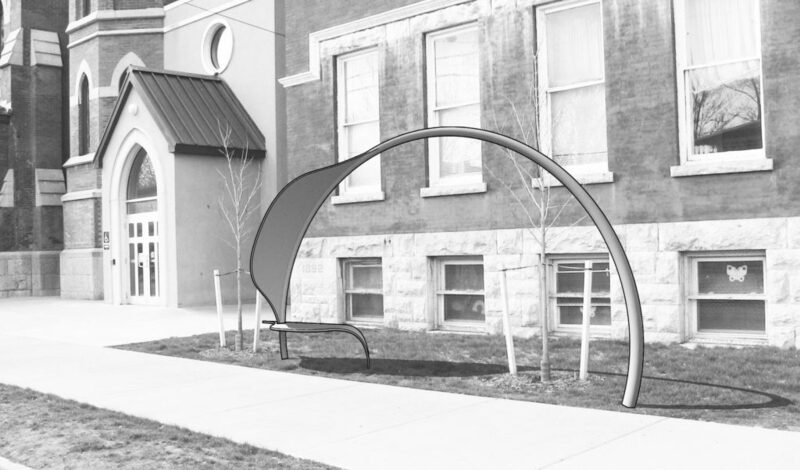 Of the many design concepts modeled by the students, these arch and flower designs were chosen for development into proposals because they offer simple and creative solutions to providing seating and shading at the bus stops. 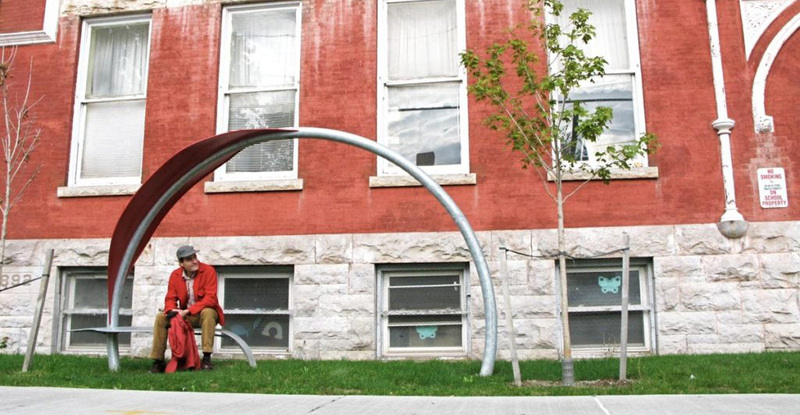 The arch design is a simple form, providing a two-person seat that is sheltered from the wind and rain. 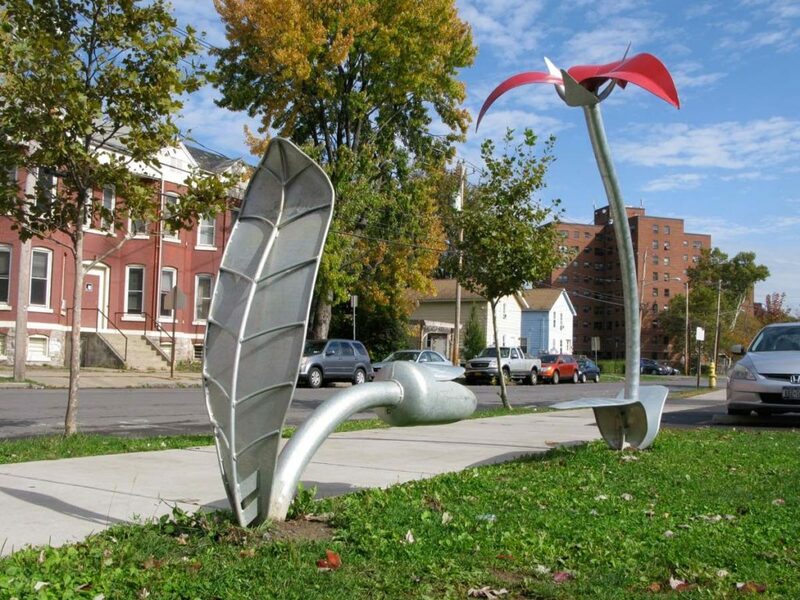 The flower structure offers a leaf and a bud for sitting at two different heights, and a blooming flower above providing shade and shelter. 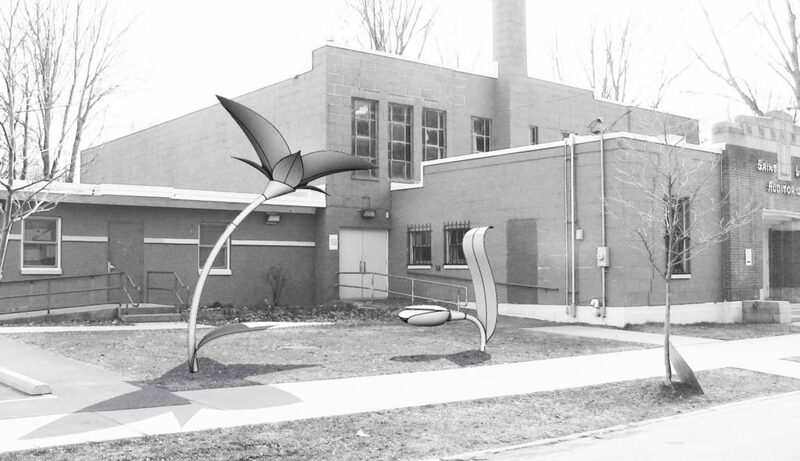 The shapes of the stems and leave mirror the arch form across the street, creating a common formal expression and unity between the two designs.